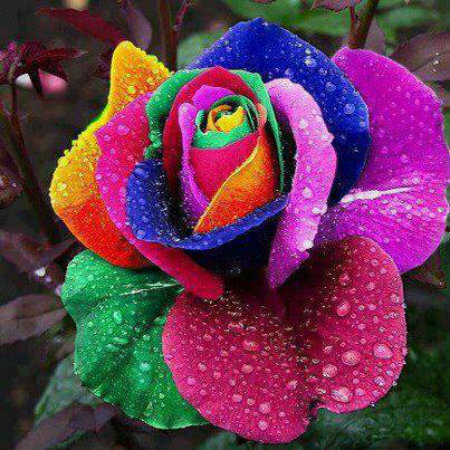 Colorful Rose. multi color, doesn't look real -- but still beautiful!. Wallpaper and background images in the Blumen club. This Blumen fan art might contain kamelie, camelia, rose, röte, stieg, rosiness, pembeliğin, türkischer mohn, papaver orientale, orientalischer mohn, and orientalische mohn.